World prosperity increased in 2017 and now sits at its highest level in the last decade. It is now 2.6% higher than in 2007. Furthermore, prosperity growth has been faster from 2012 to 2017 than it was from 2007 to 2012. However, the gap between the highest and lowest scores in the Index has increased for five straight years and the spread between nations is growing, indicating that while prosperity as a whole may be increasing, not all countries are yet benefiting from the increase. While prosperity improved around the world in 2017, no region grew as fast as Asia-Pacific. 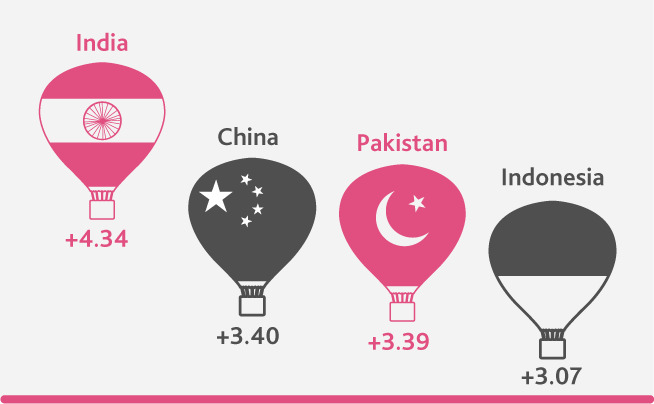 Gains came through a fast-improving Business Environment, especially in the population centres of India (100th), China (90th), Pakistan (137th) and Indonesia (59th). It is now easier to access credit, and intellectual property rights have improved. Every region in the world improved in Governance in 2017, with Asia and Sub-Saharan Africa rising fastest. Across the world judiciaries became more independent from state interference and the process of challenging governmental regulation became easier. People also became more confident in the outcome of elections. For the first time in the Index, Western European prosperity is higher than in North America, albeit marginally. Western European prosperity remained broadly constant; but North America fell faster than any other region, due to an increase in the number of homicides and greater societal pressure on citizens’ freedom of religion. While overall prosperity increased, the region also contains some notable fallers. 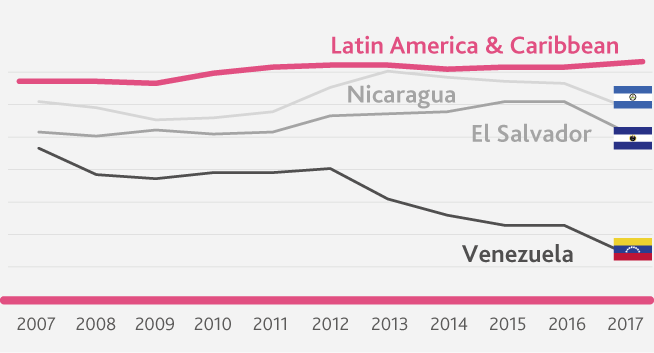 For example, El Salvador (91st) now has the highest homicide rate in the world. In 2017, it suffered a fall in eight of nine Index pillars, with rapidly worsening Security, Social Capital, Business Environment and Governance all now cancelling out their gains from the last five years. 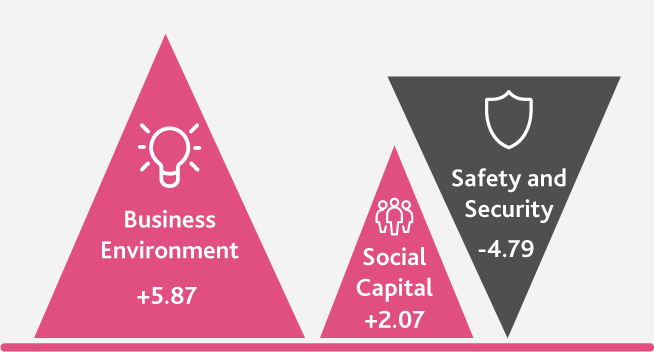 Despite gains in Social Capital and a strengthening Business Environment, overall prosperity in the Middle East and North Africa (MENA) has suffered in recent years through worsening Safety and Security. Casualties from both war and terrorism have increased, along with a rise in state-sponsored violence.